There are so many different types of plants and fruits in our world today that it can be hard to keep track of them. Each one of our fruits has a different tree or plant that they come from, making each one individual and special. Each and every type of plant that grows these fruits needs special care and attention each in their own little way, and it can be overwhelming to think about how much detail you really need to give each plant for it to thrive correctly. Wouldn’t it be amazing if there was some type of plant that grew all of the fruits in one place at the same time? Turns out there is, and it is a beautiful amazing tree. 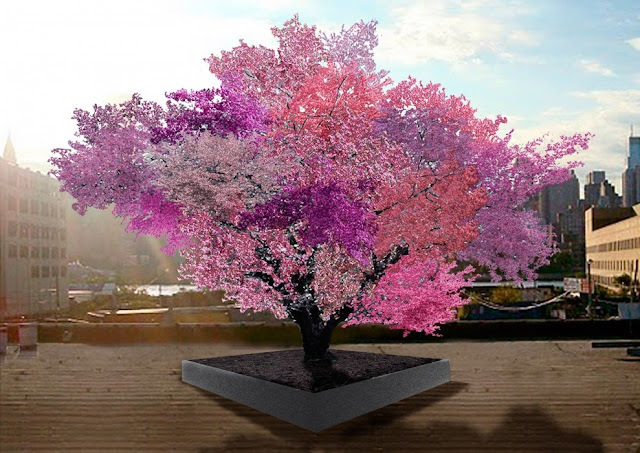 One brilliant man who works with trees for a living named Sam Van Aken had an idea to make a tree that would give you 40 fruits from one plant, so he set out researching and learning to come to his end goal, and the result is incredible. 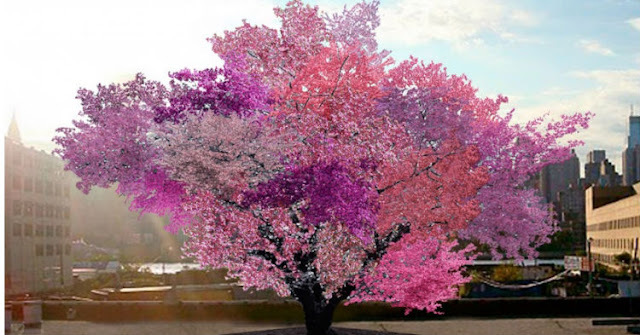 The tree is stunning and beautiful, with shades that overtake the surrounding area that it is in of different colors of red and pink and magenta. The tree was actually engineered by Van Aken himself, and the work that went into it is remarkable. Van Aken grew up in Reading, Pennsylvania on a farm where he learned all about plants and how they grow, and how to take care of them. There, he learned a way of combining plants called grafting where you can take two plants and join them together to make a sort of hybrid. 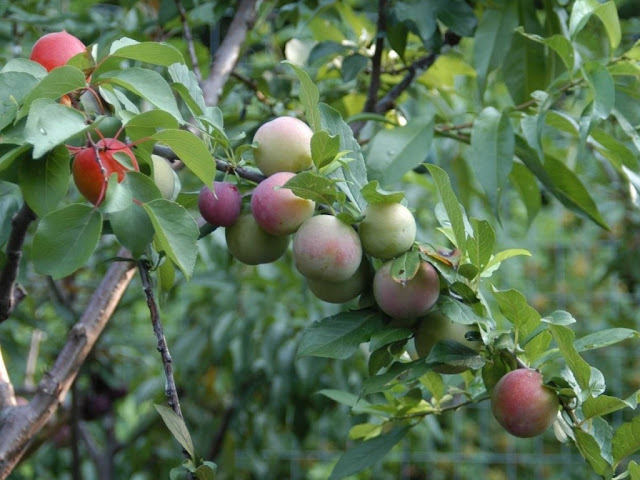 The Tree of 40 Fruits has a heavy focus on stone fruits, which are also known as drupes in the scientific world. 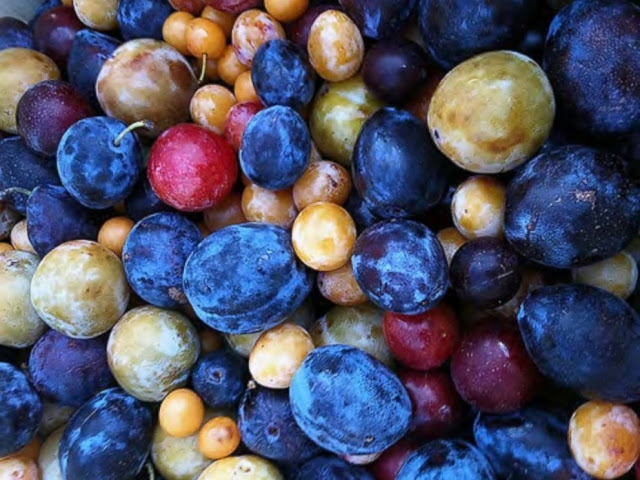 These types of fruits are ones that have an outer flesh part with a hard seed or pit in the middle such as apricots, peaches, mangoes, and cherries. His project might have looked quite strange at first, but after it had been in the creation process for a while, the final plant started to take shape and you could see how wonderful his creation was going to be. When it came time for his final rendition to bloom, you could see the mastery put into this tree. The tree now gives of plentiful harvests of all sorts of fruits. You can get nectarines, almonds, peaches, and just about any fruit you could want. Imagine having 40 different fruits in your kitchen! The oldest trees that Van Aken has had is only three years old, but the youngsters are still growing and soon will be some of the best most fruitful trees around. They give a new meaning to bio diversity and sustainability, and people have huge hopes for their uses in the future. What do you think of this wonderful tree? If you want to see more pictures of it and some photos of Van Aken, the genius, yourself, then you can see more photos here, and let us know your thoughts in the comments below!